In recent years, community policing and race relations has become a hot topic as a result of several tragic incidents that have caught the attention of the entire nation. The "Black Lives Matters" movement has taken center stage in its efforts to put a spotlight on the problems occurring between law enforcement and the black community. The purpose of this libguide is to focus on the specific aspect of this movement in regards to community policing and how it relates to race relations. It brings together materials provided by the federal government which will hopefully give insight and provide background information to help inform the public. It also brings together different resources from several examples that helped bring about the "Black Lives Matters" movement. 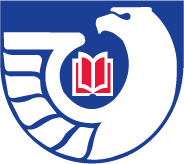 To find books and government documents in USA Libraries' collections, use SOUTHcat: USA Libraries' Catalog. Revise and refine your searches. Watch for repeating call numbers and browse stacks in that area. Pay attention to the Location and Status fields. You will need this information to locate the item in the library.